Wouldn’t it be great if walking could cure Alzheimer’s? Walking has helped raise Alzheimer’s awareness across the country for more than two decades. The memory walk began with nine Alzheimer’s Association chapters in 1989. By 2011, over 600 walks across the country had been orchestrated. This annual walk unites communities and provides opportunities for research on Alzheimer’s, the sixth-leading cause of death. The Walk to End Alzheimer’s inspires and educates future generations on this disease. To incorporate awareness and progression, the Alzheimer’s Association created this event with the mission to reduce the risk of dementia through the promotion of brain health. On September 21, walkers gathered for Oklahoma City’s Walk to end Alzheimer’s at Chickasaw Bricktown Ballpark. Seven days before the walk, 208 teams had registered and the goal of $300,000 was over 60 percent complete. Donations for the walk will be accepted through October 21, 2013. Donations can be submitted in the form of a check, money order or cash and sent through the mail, paid online or taken to the local chapter location in Tulsa. “We went to the State Fair after the walk and had our shirts on there too. I saw many people that had the same idea,” Barker said. All funds raised from the walk go toward clinical research, treatment and education. The Alzheimer’s Association is devoted to spreading awareness on finding a cure or providing care to someone living with the disease. The foundation is also committed to expediting prevention. This disease has potential to ruin families and bankrupt the healthcare system. Each year a goal amount is set by the Alzheimer’s Association for research and treatment. The Alzheimer’s Association orchestrates many events to spread awareness of this disease. 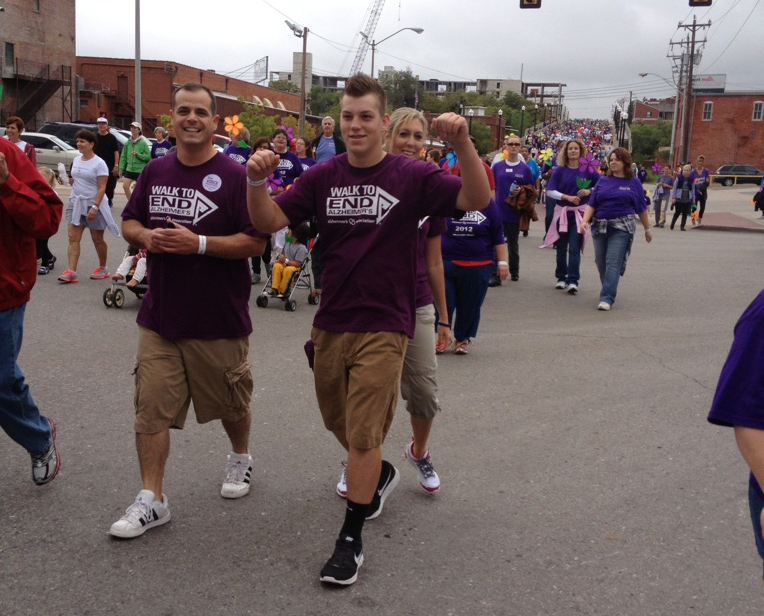 To participate in a Walk to End Alzheimer’s in Oklahoma this year, the next event is scheduled for November 2, 2013 in Lawton.